Welcome to South Texas’ most premier wildlife experience. 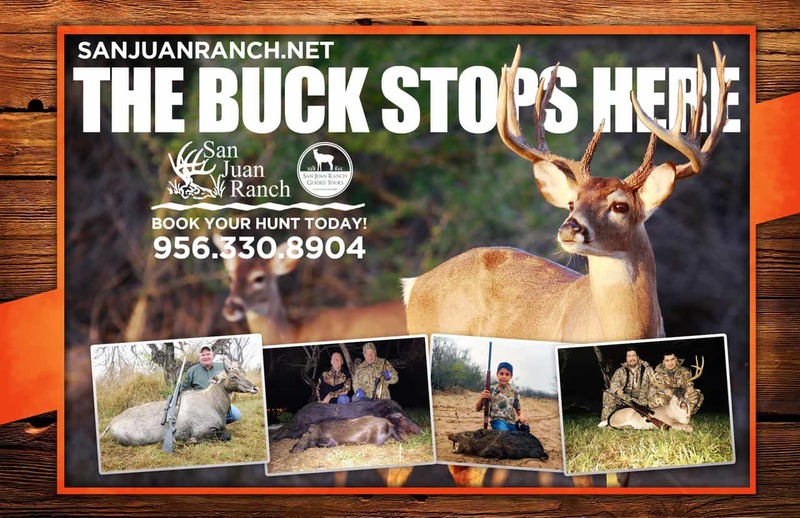 Located near San Manuel off Highway 281, San Juan Ranch offers 1100 acres of brush country stocked with the finest whitetail deer, nilgai, Rio Grande turkeys, wild hogs, javelinas, and quail. In addition, a wide variety of reptiles, birds, plants and insects inhabit the area. Tour the historic camp and corrals as well as the modern processing equipment needed to complete a guided hunt. 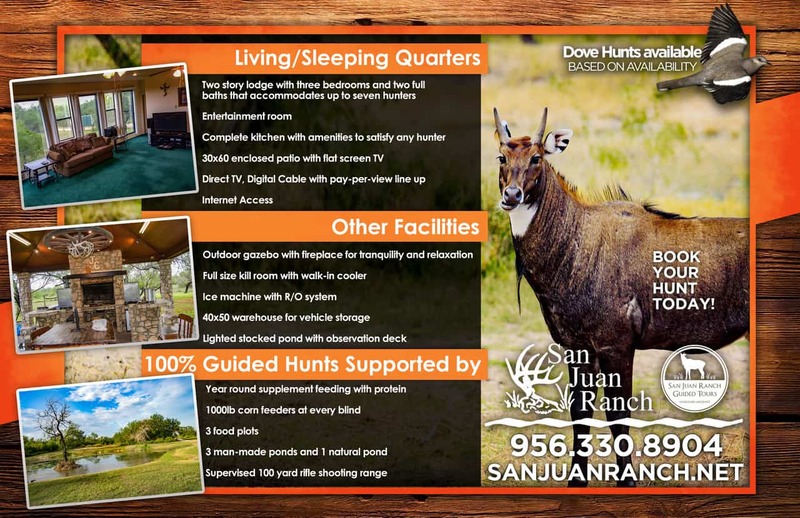 Learn about the history of San Juan Ranch, the operations and maintenance of a hunting ranch, and the importance of conservation and preservation of wild animals. 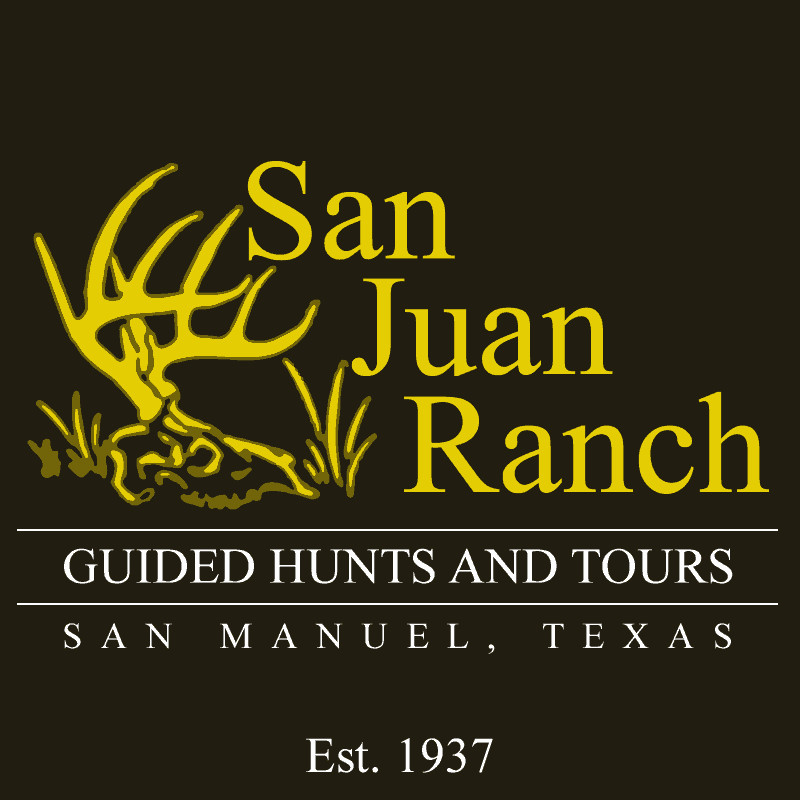 San Juan Ranch was partitioned in the late 1930s between several members of a South Texas prominent family. The original estate consisted of 890 acres of South Texas brush country full of native wildlife, from the big and boastful Nilgai, to the majestic whitetail buck. The plan to strategically implement a wildlife management program was put into action. A neighboring ranch was acquired and part of the 220 acres was converted into a hunting lodge with accommodations to outfit all hunters from the novice to the most experienced. Food plots, modern deer blinds, protein feeders, and all season feeders were put into place. The ranch is free of cattle and completely high fenced. It has plenty of water via three man-made ponds and one natural area specifically designed for wildlife. Game is plentiful and in excellent condition.